Where has the year gone? I know we say that at the end of each year but 2018 really was a blur of events and achievements for me. It all started a year ago at the Melbourne International Coffee Expo when I was crowned the 2018 ASCA Australian Latte Art Champion. And just like that, it’s time to say goodbye to the crown and pass the baton onto the next worthy artist who, like me, gets to experience all the wonderful opportunities and challenges that comes with winning a national title. My years of hard work certainly paid off. 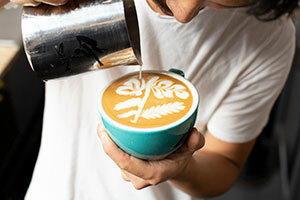 I started writing my first BeanScene column as an Australian champion, and I leave you as the fourth best latte artist in the world – well, only for a few more months. 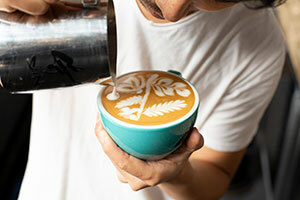 It’s been a pleasure to take you though some of my favourite latte art designs, many of which I created for the nationals and world championships, and set you a challenge each issue. I was amazed to see how many people attempted my patterns and sent me images of your replicated art. It just goes to show the impact one person can have. 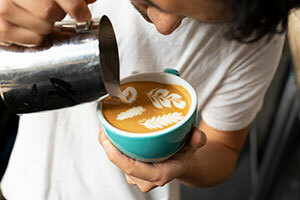 I’m still happy if all you’ve learnt is new latte art terminology or a hand-holding technique. 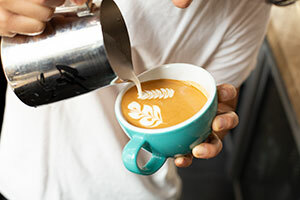 Now it’s time to put all the skills you’ve gained and look for your own inspiration – from experiences or images – and put it to practice in the cup. You can only try. In the meantime, I’m going to show you my Dragonfly design. This pattern isn’t just about the insect but creating a picture, which is what I love doing most – setting a scene and making it as realistic as I can. 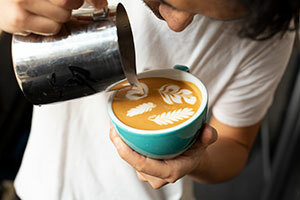 The trick to this pattern is all about the angle you pour, and holding the cup in your fingertips because it’s one of my most challenging yet – we’re going to do it in one continuous pouring action. Don’t forget, practice makes perfect. If you don’t succeed, try and try again – I did for years, and look at where it’s got me. Goodbye and good luck. Start with your handle at 12 o’clock. 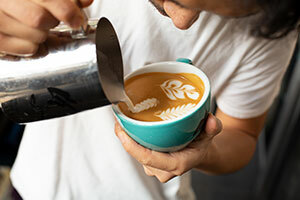 Build your base and pour a three-leaf rosetta with long S wiggle movements down the right hand side of the cup. Pull up through the pattern. 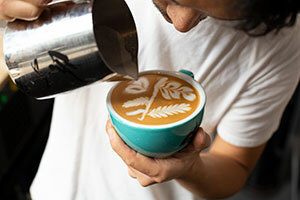 With you hand in the same position, pour a seven-leaf rosetta down the left hand side of the cup. Pull up through the design. Rotate the cup clockwise so that the handle is now facing six o’clock. 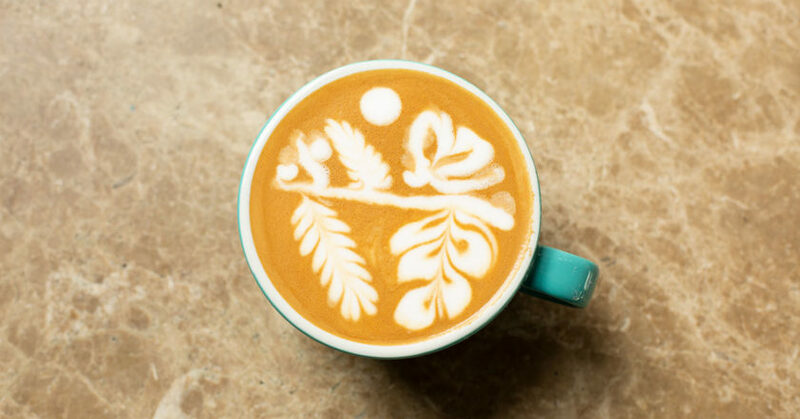 Aim your pour at two o’clock and pour a six-leaf rosetta down the cup. Pull through. In the same position, around five o’clock, pour a small C shape or drag your pour in a half moon shape. This will create the dragonfly’s wing. Pour another C shape or reverse C shape to connect the two shapes. It’s important to make sure they’re circular. Pull up through the centre. Underneath the first big rosetta you poured, drag your pour from the left of the right of the cup. 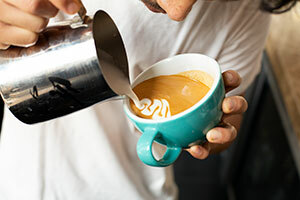 Add a branch by pouring a short, straight drag down the cup on the right hand side of the branch. Add the dragonfly head by pouring one dot of milk where the wings meet. Then make the body of the dragonfly with a single drag of your pour behind the head. To enhance the picture, add a dot of milk between the branches. I like to think of these as coffee cherries on the tree. Finally, pour a large dot for the sun. Turn the handle back to 12 o’clock, and there you have it.